Being a Butterfly - Out Now! I can finally share some spreads from my second picture book, Being a Butterfly! The follow up to Being a Bee, this is the second in a series of four about different mini beasts. 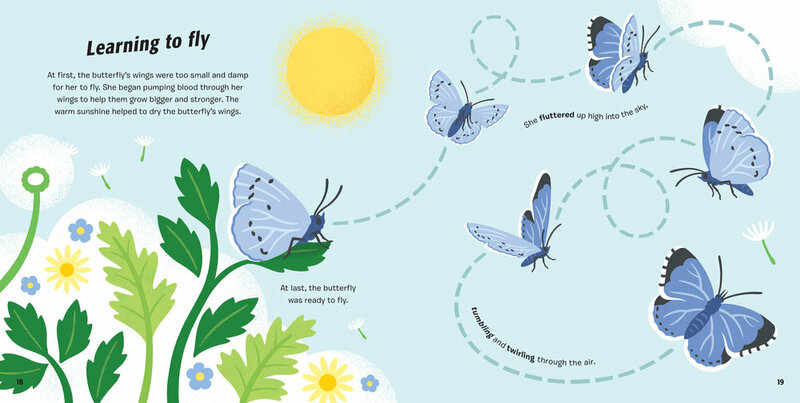 This book follows the life cycle of a Holly Blue butterfly. Published by Wayland, it's available now!